A new initiative to provide free family mediation will give many couples in England and Wales a vital new tool to resolve their own problems after they separate, rather than relying on high-fee divorce solicitors, says the largest provider of family mediation. A new government-funded scheme, effective today (Monday 3 November) will fund a free mediation session for both people involved in a separation even if just one qualifies for legal aid. Previously only the legally aided person was entitled to have the session for free, and the other person had to pay. 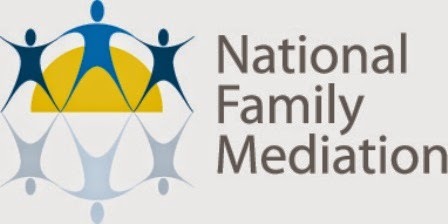 “We know from 30 years’ experience that family mediation works and provides lasting solutions, with full agreements being reached in seven out of ten cases – without the need for a courtroom drama,” says Jane Robey, Chief Executive of National Family Mediation (NFM). “Getting people into the mediation room with open minds can be amongst the biggest challenges,” she adds. “Confidence in the process blossoms as people start to understand and accept that family mediation can help them shape their family’s future in an affordable way. ”This new scheme can help thousands of people across England and Wales take a vital first step to unlock an understanding of what family mediation can achieve. 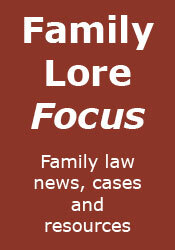 Mediation puts families in control of their post-separation future instead of handing it over to family courts. It’s a much quicker, less confrontational and a more cost effective way of settling family breakdown. Family Justice Minister Simon Hughes met NFM mediators during a visit to its head office last week and to hear how the new scheme means demand for the service is likely to increase. Simon Hughes said: "We know mediation works and we are committed to making sure more people use it rather than go through the confrontational and stressful experience of court. That is why we are funding single mediation sessions for both parties if one of them is already legally aided. Demand for the NFM telephone helpline has soared during 2014, taking an average of 2,300 calls per month since April, when a change in the law made it compulsory for people who are seeking a post-separation court order to first attend a mediation awareness meeting.